Rated 5 out of 5 by boariu1944 from Awesome Game Wow...I can't say enough about this awesome game of fun and challenges. BUT...if it wasn't for the Walk-thru...I would still be lost. I floundered a bit...but It was alot of fun and I enjoyed it totally!! Rated 5 out of 5 by MEnr56 from COINS ARE VERY IMPORTANT There are certain items that need to be purchased and it'll be important for you to keep an eye out for all the coins and to not use them randomly as I did. Fortunately for me, what I had purchased from the shopkeeper I was able to use to gain more coins to purchase what I REALLY needed at that moment. The items that the shopkeeper displays (they highlight when you click on them# will provide you with not only the cost of said items but also give you a heads up as to what you WILL NEED to buy; I will say, that the cat is the LAST item to be bought. I found 1 puzzle to be quite confusing because the tiles were not clearly indented with their markings and once completed, I hadn't realized that it had been solved #until I read the walkthrough# because of the fact that the needed item did NOT #as in the other mini-games# automatically go into the inventory -- it had to be clicked into it. Overall, this was a good game and demonstrated the false belief of the reason behind the plague and other's ignorance #based on that belief) on how to save their beloved city of Venice. Rated 5 out of 5 by KntryRoads from Good game! I liked this game! Although the puzzles weren't very challenging, they were unique enough to keep the game interesting. The game had very good graphics and music. Rated 5 out of 5 by sandebeach from Venice, Masks and Fans to Find - Loved It! PLUSSES = I loved this game, it is set in Venice and you find lovely fans and beautiful masks – that makes this girl’s heart so happy! The game is set in Venice at the time of a plague. The story begins with a missing mother and daughter, who disappear from a gondola after leaving a masked ball. You, as the detective, are asked by the husband/father to find them. You receive 2 gold ducats as payment. After leaving the father, you will travel to 5 major locations in the game, with multiple rooms/areas on and off of the main site to explore. On your journey to find the missing females, you will need to look closely in all areas, as multiple objects are hidden throughout the game, and you will need this inventory of items to complete the game and rescue both mother and daughter. You will also collect more gold ducats and use them to purchase needed items. There are prices on the items that you buy, and you have limited amounts of gold, so shop wisely and think of what is needed at this moment in the game. The graphics were clear and non-fuzzy, and the scenes of Venice are lovely. The music and voiceovers were okay. Items in the Hidden Object scenes were fairly easy to find, but I had to use some thought processes to figure out how to get some of the interactive items. A new twist to this game is that you will also look for fans in the HOG scenes, and they will add to your Hint system. (However, I used the hints several times and never ran out of them). MINUSSES = The hidden object scenes have various colored shadings, so some corners are slightly harder to see. There are multiple HOG scenes in this game, and you will revisit each one. The cursor will explode if you click excessively. The storyline of finding the missing relatives may feel familiar. The story is NOT dark and eerie, and there are no witches, werewolves, vampires or devils, just some bad people. There are some small spiders in the HOG scenes, there are an occasional bug, and there are rats (Well, it is plague time in Venice). I would recommend this game for those who like Hidden Object games, want to have some fun, and are not looking for a sophisticated, complex adventure game. Rated 5 out of 5 by Etoile32 from Great game! Like the mini-gameplay puzzles with the hidden object search. Rated 5 out of 5 by lomie from It was fun. I loved this game.Sound was good.Interaction enjoyed. Rated 5 out of 5 by afreimann from Grim Facade This game is visually moderately challenging as well as visually beautiful. Rated 4 out of 5 by MisterBear from Good game -- but I played the SE on the expert mode which means you get absolutely no help on what to do next unless you are in the exact scene that has the action. I found myself wandering all over the scenes hitting "hint" to try and figure out what to do next. When I play it the next time I'm going to take notes about scenes/places that need more action! The puzzles were fine. The game length good. Basic scene graphics are good. I found some of the HOS a bit muddy, which affects item selection, but nothing too horrible. My greatest critique is that the story sort of falls apart at the end. Too rushed. Did ERS run out of time? Or money? Or interest? I like my end battles to be a bit more substantive. I still recommend the game, however. Rated 4 out of 5 by Dr_Q from Story and puzzles meshed well The setting, story, and puzzles all worked well. There were a few times when it wasn't obvious what needed to be done, but very few. Most of the time it was not only obvious, it was expected. It was a little on the long side, and did start to drag toward the end. Rated 4 out of 5 by JustTheFacts from Enjoy The Old World Grandeur & Mystery Of Venice GAME COMPLETED MANY TIMES History is only a gondola ride away in this utterly beautiful and charming HO game. Even in the clutches of the plague, Venice looks romantic. At least, it does when drawn in the WONDERFUL HAND DRAWN GRAPHICS of ERS & DELIGHTFUL MUSIC. (Which, admittedly gets a bit repetitious eventually.) You are a DETECTIVE brought in the RESCUE two young women who have been kidnapped. Immediately, it becomes apparent that the criminal is aware of your arrival, and is doing everything possible to hamper your investigation. A MAN IN A MASK threatens you and warns you to “stay out of Redemption’s path”. The VOICEOVERS are really just for the opening dialogues, but are reasonably well done. This is really HO Adventure, as there is few PUZZLES. The HO scenes are clear, objects are easy to spot and some are interactive. There are COLLECTIBLE fans to be found in each HOS, used to increase the number of HINTS available. Neither the HOS nor the PUZZLES is difficult. There were times, though, when I really had no idea what to do next. HINT was no use “there is nothing to do right now”, and there’s NO MAP. The JOURNAL had nothing to offer either. An amusing addition in this game is the SHOPKEEPER, Giovanni. Giovanni just happens to have in stock the right item at the right time, for just the right price. So be diligent in accumulating those ducats. To date, there have been 3 Grim Facade games, and I love every one of them, but this one will always be my favourite. It just has this amazing atmosphere, and the STORY as it unfolds later in the game is really INTERESTING. I recommend this game! Rated 4 out of 5 by missgranny from See Venice and buy the game Based on CE trial, really nice game, HOS set out well, no junk piles!! puzzles not too much of a brain strain, art work excellent as usual, voice overs were good, in keeping with the theme there are opera glasses to look at objects,very original.coins have to be found throughout the game to buy much needed objects to help you, look out for fans to collect which count as hints.One to buy. Rated 4 out of 5 by hbinkyk from Not bad I got this as part of a Grim Facade bundle and played Sinister Obsession first. I nearly didn't bother playing this because that one was so bad, but this was quite a lot better. In contrast to Sinister Obsession, it actually had a coherent and complete storyline which was engaging enough. However, I don't like the fact that there is no map, and the locations seem disjointed without one. Maybe that's why there isn't one - it probably wasn't possible to create a map. I also wasn't over-keen on the graphics - they seemed a little fuzzy to me. Others may disagree, though and find this atmospheric. Use of some items is a bit illogical, but not as bad as Sinister Obsession. Puzzles are quite simple and the game didn't last very long. I did like the way you earn hints by collecting fans in HOS. Overall, this game is adequate, but not outstanding. Worth it if you have an offer or a token. Rated 4 out of 5 by BirdLover89 from Delightful Enjoyed this game a lot. Music was nice but did begin to wish they'd play a different tune. It was challenging but not too difficult to enjoy. I did have to consult a walkthrough a few times. The game did move a bit slowly at times (i.e. bringing up the inventory was slow, etc.) Recommend this game as a good HO game. Rated 4 out of 5 by smuckers820 from Liked It Fine I'll keep this brief. The storyline was cohesive, but at the same time, I couldn't understand why anyone would go through all of the trouble that they did to support the storyline. I enjoyed collecting ducats along the way to make purchases for the items I would need throughout the game. The visuals were great. The challenges were challenging at times. There was no interactive map. I would recommend the game overall. But it really depends on the types of games you like. Rated 4 out of 5 by Shastanna from Silly Story, but good fun! I really enjoyed this game. It didn't take itself too seriously. Just a fun time. Rated 4 out of 5 by BlueOctober from Fun Game Pros: Good storyline. Loved the voice overs. Good music. Skip button on mini-games. Unlimited hints. Cons: Too many HO scenes for my taste. (But, I know that this is a HO game so...) All in all, a fun game. Would recommend. Rated 4 out of 5 by angie0310 from beautiful game If you need some relaxing time, try this one. The music is lovely, and the scene is beautiful. The HOS is quite clear, items are easy to be found but you need to think a little bit for the interactive items. Puzzles are interesting and most of them are easy. One thing to complain, I had to play the game twice since the first time I didn't gain 15 coins for the cat. The scene quitted accidentally when I failed to pick up a coin. I can't continue the game without the cat so I had to restart it from the very beginning. Rated 4 out of 5 by worthy from Interesting game Set in Venice the scenery was good and the graphics not too dark. Interesting puzzles, not too hard. Hidden object scenes fair and objects fairly easy to find. Fans give you extra hints. Look out for ducats as they are part of the game when you need to buy a certain item. Found the game to be of a good length. Had to resort to the walkthrough a couple of times but this didn't spoil the enjoyment. Rated 4 out of 5 by liminlyn from Venice Facade Love the game as it were many mini games that keep you wanting more. The graphics are clear and musicality was suspenseful. I enjoy the interaction with characters. One drawback is you instead of the area showing "clear" you keep returning to the same area, even though it said nothing more to check another area. I wish all the games would say "area clear" and you don't have to move on. It would also be nice to have a map so you can see your location and if there area any items to retrieve from previous areas. Overall, I will be playing this game again and recommending to friends. Rated 4 out of 5 by jasmin4 from I really like this beautiful game!! I have only played the demo in regular mode, and finished the demo in 47 mins, however I really enjoyed this game! The scenery, HOS, and cut scenes are absolutely beautiful, crisp, and clear, but a bit dark sometimes. Game play is, for the most part, smooth. It seemed to take a little bit for a couple of the new scenes to load...for a min there I thought the game had frozen up, but it came up after about 20 seconds. I think the story line is intriguing, but I really like period/historical games. I believe a lot of thought went into this game, and it was lovingly created! The HOS are beautifully drawn and are interactive, but some areas can be a bit dark/grey. A few of the HO are tiny/blend in very well, which can be a challenge. Overall, most of the HO are easily recognizable. I really liked looking for the fans in the HOS, to add to my hints. Looking for the ducats to purchase inventory items that are needed is a fun twist! I loved the music!! It is so "Venice"!! Some of the music almost reminds me of Irish folk, or Celtic type! It adds "flavor" to the story, creates emotion in a scene, yet is not obtrusive at all!! The voice overs I feel are authentic, and very well done!! I also like that when you are finished with an area of interest, you can no longer click/zoom into it. The hints are helpful, without hand holding, and recharge quickly, even without finding fans. From what I have seen, there are a limited number of areas per chapter, so it doesn't take very long to figure out what to do next when you are stuck. The game does have a minor flaw, in the flow department. There were a few times when I didn't know what to do next. Perhaps that is the design...to make you think. There is a lot of toing and froing, and you do have to visit a HOS at least twice, but the scenes are so beautiful, it doesn't bother me. The puzzles are kind of odd though. Some were very difficult/impossible for me, and some were very easy. Again, perhaps that is the design...puzzles for all levels of gamers. All are skippable, which is very nice! There are directions for each puzzle, so you aren't going to get frustrated trying to figure out what to do, on top of how to do it. All in all, I would highly recommend this game for all gamers!! I think it was designed with care, for all types and levels of gamers! A very beautiful game! Rated 4 out of 5 by SarahMBarracuda from Definitely worth a trial! This game is wonderful! I always say to use the trial first, but the scenery and music will captivate you. I found the puzzles could have been more challenging and the story could have flowed better, but I still enjoyed this game very much. Rated 4 out of 5 by anniey3 from Interesting story, but... Dialogue and story were both fascinating and interesting. This game seems to be more of a scavenger hunt where the player gathers items to perform necessary tasks. There are two modes to play and would advise using the mode that displays prompts just to avoid frustration for those who have trouble in figuring out what they should be doing. Would recommend this game for those players who enjoy scavenger hunts more than hidden object games. For those who are purists with HOG, this may not be your cup of tea. Rated 4 out of 5 by DrDavid from Pretty good game Overall pretty interesting. Sometimes the action did not flow and it was necessary to hunt for where the next activity should be. A couple of the mini games were either boring or possibly impossible. Either way, I skipped about two of them. The hidden objects were generally well hidden rather than just obscured by darkness. 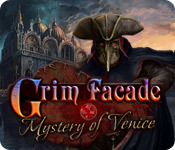 Rated 3 out of 5 by pennmom36 from Grim Facade: Mystery of Venice SE The plague ran rampant in Venice back in 1104, showing no mercy and no signs of subsiding. When the plague claimed the life of the Dage's eldest son and heir to the city, he blamed those of Venice's high society who lived sinfully and full of debauchery. He believed this lifestyle brought damnation upon the city so he gathered people together with similar beliefs, forming a secret society called "Redemption" who secretly kidnapped those who they felt personified the seven mortal sins. After the plague subsided, the citizens who lived in sin, remained fearful, and the plague has once again reared it's ugly head. The latest victims of Redemption are Karla and Lisa, two of Venice's bella donna's and you have been hired by Silvio, husband and father to the missing ladies. Throughout the game you will collect gold Ducats which will be used at Giovanni's local merchant shop, to purchase a random assortment of needful things such as cheese blocks and oars. There is no map available, so you'll have to travel old school on this one, and there are only two modes of difficulty to choose from, Casual and Expert. 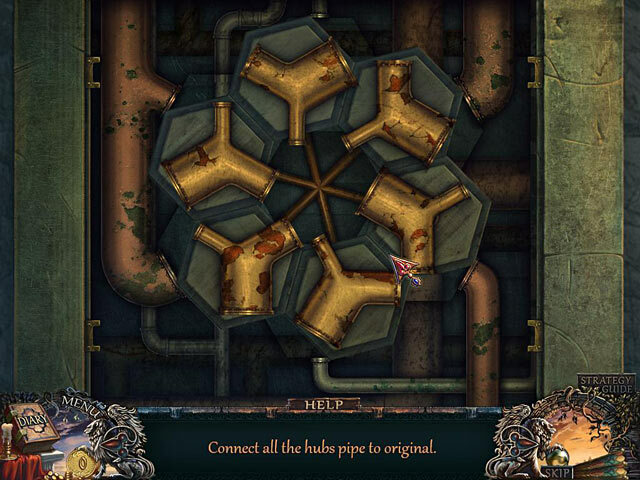 Hints are limited but, you can earn extra hints by finding hidden fans within the Hidden Object Scenes. 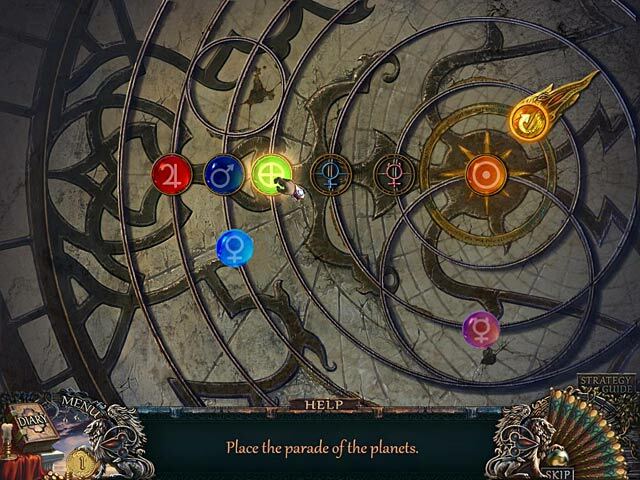 The Hidden Object Scenes are all Listed item finds, some items require you to move an item or open up an item to expose the object you are looking for, but the interactions are easy to find because the cursor will change to a hand or gears if another item is required to be used on it. Most of the scenes are repeated a second time, so you'll have to check back often. The Mini Games are fairly simple, such as rearranging gems so they match the smaller gem pattern on the outside, or rearranging letters to spell the word shown on the paper example, using right and left directional arrows and a take/ swap/flip button to position the letters. This Standard Edition is a better value than the Collector's Edition, in my opinion, because the CE only has Screensavers, Wallpapers, a built in Strategy Guide and a Bonus Chapter, and you cannot access any of the Extra features in the demo with the exception of the Strategy Guide. Rated 3 out of 5 by SSSpencer from Beautiful, but repetitive HOS This game LOOKS amazing. The scenes are very beautiful, and you find yourself keen to find and explore new areas. The puzzles are challenging,the inclusion of a shop to access some of the items you need is nice! (Make sure you find all the ducats hidden around the game!) Sadly, as this is a Hidden Object game, the HOS scenes are the thing that i really disliked. They are necessary to provide vital objects for the rest of the game, but they start to become more of an annoyance than a help. They contain the same objects in each scene, arranged on a different background. Revisiting each HOS scene and sometimes working through three of them in quick succession before any progress in the story can be made can start to become irritating. The music, whilst lovely, is also extremely repetitive. Also cannons do not have wicks. Not ever. A little research would have resulted in me swearing at my screen less. ;) It is a good storyline. It is a beautiful game, The areas you get to explore are really interesting and varied, The puzzles are challenging and fun. If you like lots and lots of HOS then go for it. If you like the 'adventure' part and want SOME HOS and some puzzles and some story to work through, there are better games out there. Rated 3 out of 5 by cplatten from Not a bad game...but not the best I just finished this game more because I hate leaving things unfinished rather than because I was enjoying it. I felt I should have enjoyed this more but there were bits about it that just didn't gel. While the overall graphics were absolutely beautiful and evocative of Venice, I couldn't understand why the graphics got grainier in the HOS. This made them a little bit of a strain at times and detracted from their enjoyment. The storyline was also flimsy throughout but then finished quite quickly with a creepiness in the last scene that didn't tie up with the beauty of the scenes that went before. Some of the mini-games were too easy and I often found that when stuck Hints didn't help or even, in one case, pointed at the wrong thing! I had to resort to the Walkthrough Guide at that point. In conclusion, I won't be rushing out to purchase any more in this series.